Intuit recently released the 2018 version of QuickBooks for all their desktop products, including Pro, Premier, Enterprise, and Accountant. 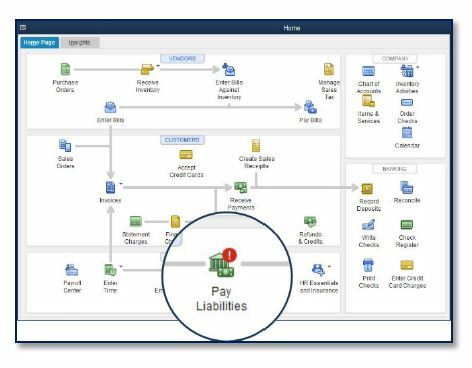 QuickBooks Enterprise added new features that may prompt mid-sized companies to leave their old and more expensive ERP systems. 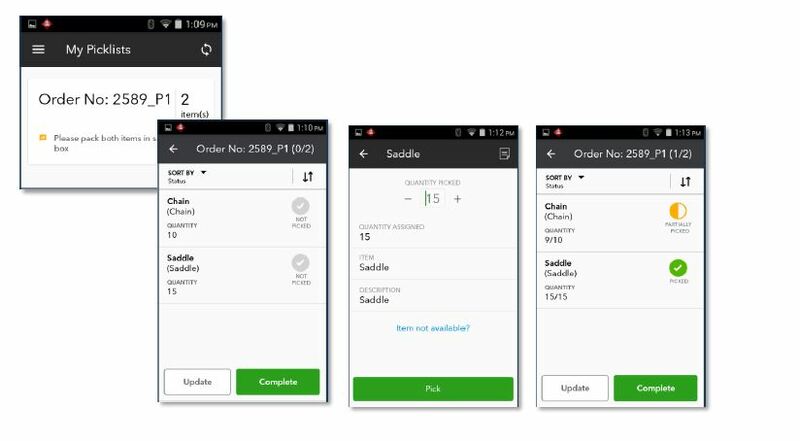 The new features include mobile inventory barcode scanning for sales order fulfillment for QuickBooks Enterprise with Advanced Inventory. Below we will describe all the new and exciting features included in the QuickBooks 2018 Desktop products. Speed up the picking process and reduce data entry errors with mobile inventory barcode scanning. Send sales orders to workers on the floor, scan inventory within a warehouse, and transfer the data wirelessly. Work across multiple warehouses or anywhere that has an internet connection. 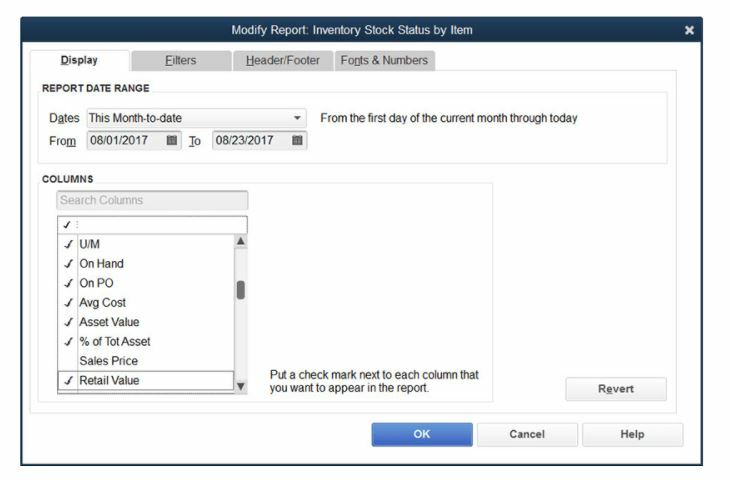 This feature is only available in the Advanced Inventory module of QuickBooks Desktop Enterprise Platinum. 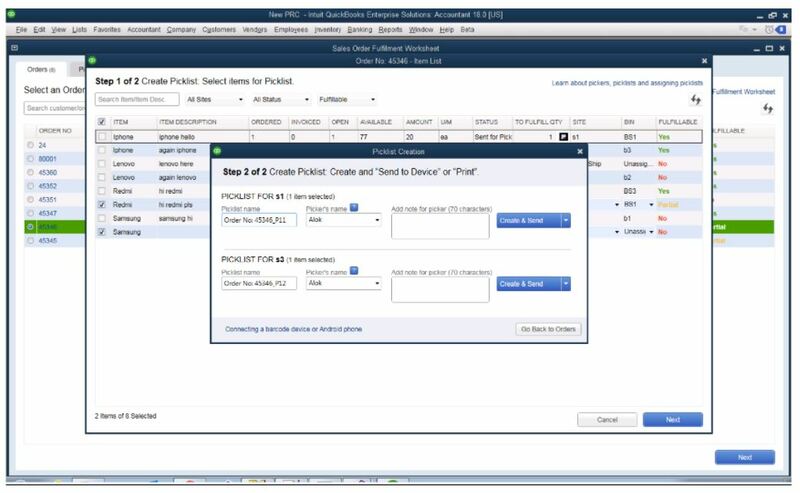 Now you can prioritize urgent orders and fulfill them across multiple warehouses. Your employees can have more control and see inventory availability right on their mobile device. In addition, a faster picking process that works across locations will empower workers and delight customers with faster fulfillment. 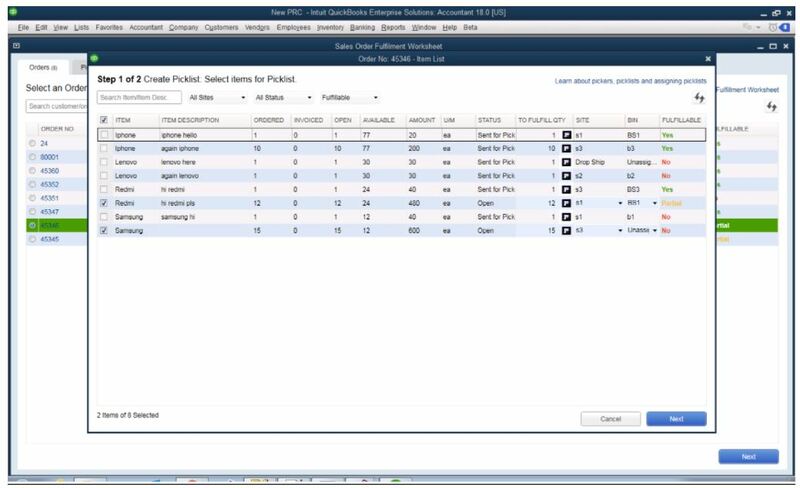 The new Merge Vendor feature provides a consolidated window to efficiently identify and merge duplicated vendor records. Search and sort for both active and/or inactive vendors, for the purpose of merging duplicated records. Select up to four individual vendor records, designate one as the master record and merge them together. Optionally update vendor record fields on the master record before merging. On the Home page, QuickBooks displays a red reminder badge seven days prior to the scheduled payment date. This reminder prominently displays on the Home page, helping to insure future payroll liabilities are not missed. This feature visually confirms that a customer’s invoice has a past due balance. This feature can be turned on or off in template preferences so Past Due stamps on emailed or printed invoices can be displayed or not. 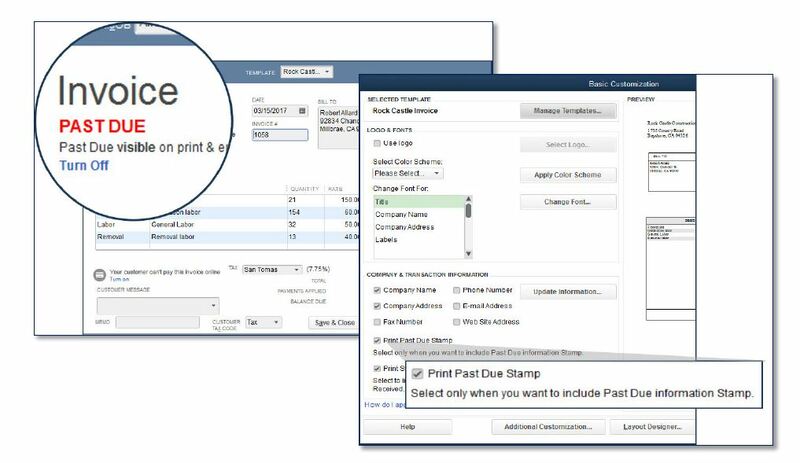 This feature can also be turned off for a single invoice when the invoice is displayed on the screen. Efficiently work with transactions that require repeating rows of information. New keyboard shortcuts will save time. Copy an entire row with the windows keyboard shortcut Ctrl+Alt+Y, then paste the entire row to a new line with Ctrl+Alt+V. 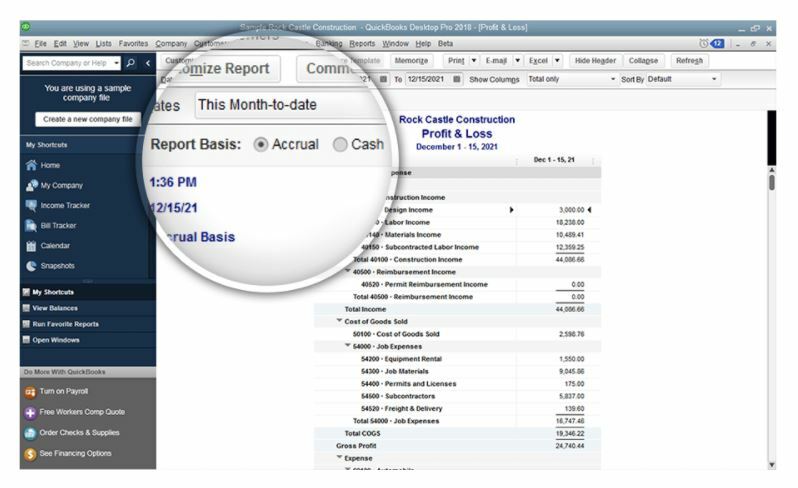 With the simplicity of a click, users can toggle displayed reports between cash or accrual basis reporting. 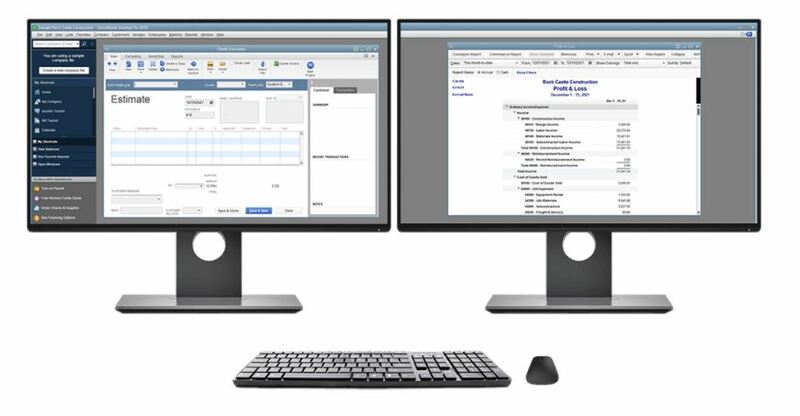 The ability to view reports on an accrual basis for management decisions and on a cash basis for tax planning has always been one of QuickBooks’ most desired reporting features. 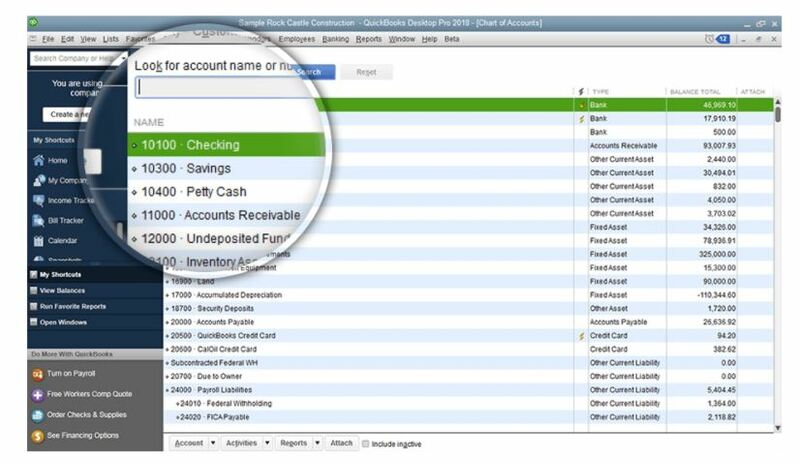 New search box on the chart of accounts window makes it easier to find and select an account or sub-account by typing an account number, account name or partial words of an account name. Newly customizable inventory reports will help give you the insights you need to make better business decisions. Customizable display options have been added to the following reports: Inventory Valuation Summary or Detail, Inventory Stock by Item, and Assembly Shortage by Item. The experts at Marc Mintz and Associates can help you get the most out of QuickBooks. We can provide you with QuickBooks installation, implementation, training, and troubleshooting. 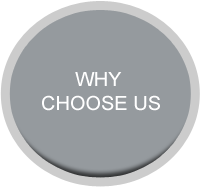 To contact the experts at Marc Mintz & Associates call 973-808-9040 or email us at lorrie@marcmintz.com.